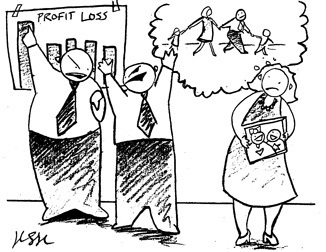 Family Business Issues: To Leave or Not To Leave? In this fictional (but common) family business scenario, we examine the family business issues which have blossomed between Jean, Hank and Matt, a parent/child team whose expectations and communications skills have brought them to an impasse. Jean (Mom): You two used to have such a good relationship. But it has deteriorated as the problems in the business have increased. You’ve got to straighten out your personal relationship regardless of the business! Matt (son): Look, we’ve had pricing problems, delivery problems, and our overhead is too high with too many old people on the payroll. Dad’s on my case; he questions everything I do. I know I can make it outside of this business and earn a lot more money as well! Maybe I’ve just got to get away. But I don’t even know what the plans are long range for this company. Hank (Dad): I know you’ve worked your tail off as general manager of this division with many things stacked against you, but these problems aren’t just because of pricing and delivery. Maybe this isn’t the right position for you. I just want us to get back a good father-son relationship again. By Matt: Matt silently considers, “I have to make some decisions. I’m thirty-three years old with a wife and two kids and I have to plan for them. If my dad is going to keep breathing down my neck, I’ll never have a chance to prove myself. I know I could make a lot more money on the outside. If we could just clean house around here and get rid of some of the high cost dead wood. Mom and Dad are the sole owners. Who’s going to own this business in the future? Who’s going to run it? How can I plan for my future, if I don’t know what his plans are? With Jean: Jean is wise blowing the whistle to call “time out.” She recognizes that the relationship between her husband and her son has changed and wants to see it resume for the better. For her this is a case of whether Matt stays with the family business or goes off on his own, with her grandchildren, perhaps to a more distant location. With Matt: Matt is frustrated with his dad’s questions and sees them as a lack of trust and a challenge to his authority. He wants to see some changes among more senior personnel. Perhaps, at some level, he would like to see his dad among them. While he is confident of his own ability to “make it” on the outside, he is reluctant to leave without some understanding of the longer term future ownership and leadership plans for the business. With Hank: Hank recognizes the positive contributions his son has made, but recognizes that the new division has failed. While not ready to blame Matt entirely for the failure, Hank would have more confidence in Matt if he didn’t get defensive every time he was asked a question and weren’t so reluctant to give answers. There must be a process to objectively review the performance of Matt as general manager of the new division. Ideally, this will include candid feedback from Matt’s supervisor (hopefully someone other than a family member), anonymous feedback from people who report to Matt, as well as an evaluation by Matt himself. This is critical for Matt’s growth and skill development. Matt’s compensation goals and the company’s plans need to be in synch. Discussions between Matt and Hank are a must and a formula should be developed that recognizes fair market value of the job performed with an adjustment up or down based on Matt’s skill and quality of performance. Hank and Matt can examine their relationship in more depth. On what do they agree? On what do they disagree? How does each “trigger” a problematic response in the other? In what ways might the business tensions have played themselves out between them? 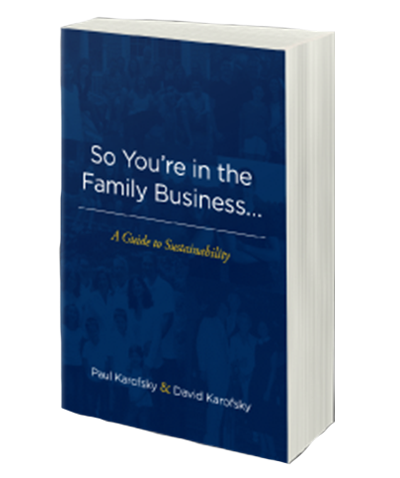 Are there family issues that are playing themselves out in the business setting? Matt should consider outside opportunities. If he finds a good fit, it might be the best for both his immediate family and the family business, where the door can, perhaps, be left open for the return of a more mature and seasoned professional. Conflict Resolution: How Do You Handle Conflict? Want More Family Business Alerts In Your Inbox? Subscribe today to receive either our weekly or monthly family business alerts.